Like Us on Facebook to get real time notices of available Upgrades and Updates! Released 2015; uses .Net 4.5.1.; overhauled field system for major performance improvement; field imports on web; lots of new order rule results and triggers; new Drag and Drop interface for Web Category maintenance; moved from encrypted credit card numbers to aliases; redesign of password system to improve security; new credit card gateways (eBiz, WorldPay, and 3DSI); massive increase in the amount of on page help; and major improvements to sync system. Released 2015, uses .Net 4.5.1., new gallery layout, enhance posting to handle Non Stocked / Controlled items, blogging enhancements, major enhancements to customer service. Released 2014, entire system now uses .Net 4.0, Responsive Design, added Multiple Image support to Items, major Customer Service enhancements, Serial / Lot support. Released 2013, new Order Entry screen, document management system, automated End of Day Close. Released 2011, new Sync system for hosted sites, major enhancements to eCommerce, cXML (new system for streamlining the integration process with other companies) implemented. 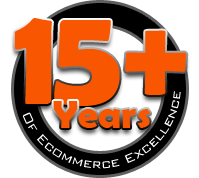 Released 2010, Job Master (Automation / Scheduling software) released, Enterprise for the web, major enhancements to eCommerce. Released 2007, new site maintenance system, 64bit Operating System support, web-based maintenance screens, sales tax connector released with support for Avalara's AvaTax. 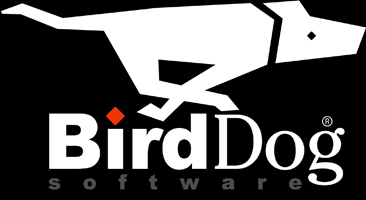 Released 2006, completely new Security model for eCommerce, new Audience system used to market different information to different markets or people groups using a single database, new Theme and Master Page system, major speed improvement for Customer Service module, major enhancements to Freight system.